”What Constellations reveal again and again is that humans are composites of all the life that created us. Layers of ancestral consciousness run wild within us, at times fueling our greatest productive output and then, paradoxically, stopping us with obstacles that are seemingly impossible to surmount.” Dan and Emily often work with professionals who feel inhibited in their creative process, and where constellations prove to be an outstanding tool to get directly to the core of the issue. or do you have relationship issues with siblings, parents, that persist getting resolved? Join us in their workshop ! Dan Cohen and Emily Blefeld are coming to Oslo with their Seeing with your heart Constellations workshop. Now also with a Masterclass for professionals (constellators) on top. And why not introduce yourself to how they work by either coming to the evening lecture on the Thursday before, or by listening in on the video conference held on December 4! In these introductions, they share their latest insights about spiritually-oriented Constellations, the evolutionary edge of their work, and what they are most passionate about bringing to their upcoming workshop in Norway. At the video conference, there were questions and answers and an exercise that you can follow and do yourself at home if you like. Did you miss the video conference? More information, questions and answers: please send an email to audmarit@krysalis.no or gunilla@askis.se . Seeing with your Heart Constellations Workshop. Dan Cohen and Emily Blefeld use an evolutionary form of Systemic Constellations in which the dimensions of consciousness come alive. Participants open their body’s capacity to perceive the presence of human consciousness that survives death and the divine presences, archetypes, and nature elementals that are beyond human scale. This consciousness beyond the ordinary is awakening our hearts to the call for humans to learn to be human in our finest, most evolved form. These days will demonstrate their approach to release pattterns of oppression and of trauma inherited from generations. It invites you to take your place among the growing chorus of humans who are opening to what is possible for the journey through this most incredible life as a human being. – Choose between Evening lecture, Workshop and Master Class – 1,2 or all 3! Venue for the workshop: Røa samfunnshus. Address: Tore Hals Mejdells vei 8, 0751 Oslo. Dan and Emily demonstrate their take on constellations, Seeing with your Heart Constellations. There will also be exercises for everyone to try out their work. Supervision, exercises, constellations and training. Monday, January 28 at 10:00- 17:00. / at 10 am-5 pm. Displayed prices are for early-birds, regular prices in parenthesis. No VAT and payment in NOK. Master Class, January 28th: NOK 1700 (NOK 1870). Kombo-priser: A) Anmäl dig till alla 3 evenemang och få föreläsningen på köpet samt 400 NOK rabatt på workshopen. B) Anmäl dig till föreläsning och workshop och få föreläsningen på köpet. The date for Early-bird prices have been postponed to January 10th, 2019 ! Welcome with your application. We use google forms for applications. Click on the link in the text, make your choices and add your data. Link to google form. If you have any questions, please contact one of the organizers, see email addresses below. Up until January 10th, no fee, from January 10th you pay 50% of the fee, from Jan 17th, 2019 you pay 100% of the fee. Avbokningsregler: Fram till 10/1-2019 kan du avboka utan kostnad, från 10/1-19 betalar du en 50%-andel av kursavgiften, från 17/1-19 100% av kursavgiften. Hosted by Aud Marit Esbensen of Krysalis AS. Senter for Systemiske Konstellasjoner i Norge and co-hosted by Gunilla Boivie of ASKIS, the Academy for Systemic Constellations in Sweden. Contact either of us with your questions. Aud Marit audmarit@krysalis.no eller Gunilla gunilla@askis.se. All these places are situated close to Røa (workshop) as well as the venue for the Masterclass. 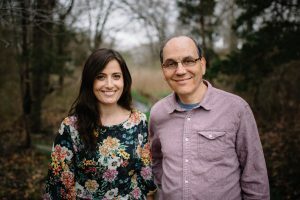 Dan Cohen, PhD, and Emily Blefeld, LICSW, are internationally recognized innovators in merging advanced consciousness and spiritual principles into Systemic Family Constellations. Their ground-breaking work enables people to perceive and release the otherwise invisible effects of multi-generational oppression within their family lineage. Together Dan and Emily access the ordinary, ancestral and spiritual dimensions of consciousness to create Constellations that are illuminating and life-transforming. In the field of their work, ancestral presences often become tangibly real and participants make direct contact with the spiritual wisdom embodied within the Earth. Behind the pain of personal and transgenerational trauma, clients can feel love and receive healing from the consciousness that envelops us.